By approving a ninth institute, taking the next step in prioritizing strategic issues, adopting a new policy statement, passing an FY 2016 budget that keeps dues unchanged, and more, ASCE’s Board of Direction had an active midsummer meeting. The Board approved the creation of the Utility Engineering and Surveying Institute, the Society’s ninth specialty institute. 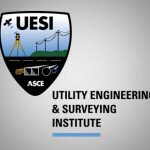 When fully launched, UESI will serve professionals engaged in infrastructure engineering, planning, design, construction, mapping, coordination, operations, and asset management for all utility pipelines, regardless of the products they transport. 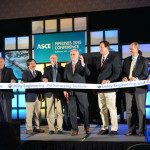 UESI will have its official rollout in late August during ASCE’s 2015 Pipelines Conference (read more on the approval of UESI). In a daylong strategic planning session, the Board discussed an interim list of about 45 issues affecting the civil engineering profession and ASCE, and by day’s end had trimmed the list to about 30 issues. 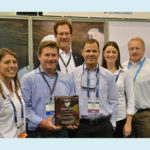 Further consideration will take place in August, with a goal of setting a prioritized “radar screen” of issues at its October meeting (read more about the issues in reports to Region members that appeared in the July 24 ASCEnews Weekly). • Adopted a freight mobility policy statement supporting a mobility program that is economically efficient, intermodal, and environmentally sound. The statement makes plain how critical efficient freight mobility is to the U.S. economy in the global marketplace, and to proper development and maintenance of our infrastructure. The amount of freight moved across America is expected to jump 60 percent over the next 30 years, according to the Federal Highway Administration. • Stepped up ASCE’s global strategy commitment by approving creation of a Global Strategy Council that will serve as an oversight catalyst to see that all parts of the Society incorporate a global perspective where appropriate. The new council will report to the Executive Committee and will receive assistance from a Global Staff Council. • Concurred with expanding the At-Large Director term from two to three years for consistency with Region Directors terms, based on recommendations of the Task Committee on Governance Activity Review, which surveyed current best practices in association governance. The proposed change still requires an amendment to the ASCE constitution. • Approved a fiscal year 2016 operating budget without a dues increase for members. Two Society Committees – Public Policy and Member Communities, and one Strategic Initiative Committee – Committee for America’s Infrastructure – shared progress reports with the Board and engaged in strategic dialogue. Efforts to encourage elected officials – and to encourage ASCE members to contact those officials – to increase investment in infrastructure have met with some successes, reported the Public Policy Committee and the Committee for America’s Infrastructure. The new Save America’s Infrastructure app has had about 1,800 downloads, and many members have reached out to urge a long-term funding fix to the federal Highway Trust Fund. ASCE’s 2013 Report Card for America’s Infrastructure continues to serve as a regular resource for the media on infrastructure investment. Numerous state infrastructure Report Cards multiplied that message at the local level, helping lead to gas tax increases in seven states so far in 2015. Planning is well underway on the release of the 2017 national Report Card. The Member Communities Committee outlined how it is working to better identify Sections and Branches that need help with bolstering their activities. As one tool, MCC continues updating its best practices guide with proven successful activities.